Plastercraft – Large selection of ready to paint plaster craft items. Also supplies, paints, and tools. 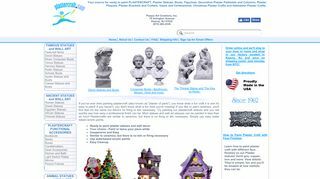 – Large selection of ready to paint plaster craft items. Also supplies, paints, and tools.